Call, Book, Confirm and ready to go in 15 minutes! 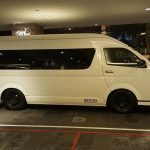 So, you have decided to use Maxi Cab Singapore services to move around Singapore. Well, you must be a smart traveler! Now, you are wondering how to get the most out of maxi cab services. 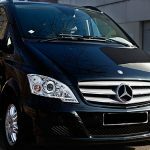 For you to get the most out of maxi cab services, you should know what factors to consider when doing maxi cab booking. Without much ado, here are some of the factors you should always consider when picking the right maxi cab vehicle. Maxi cabs come in various different capacities. When you are choosing a vehicle, you should consider how many people you are. That way, you will know what type of maxi cab will be suitable for you and your group or family. If you are 6 people or less, the 7 seater maxi cab is the most suitable vehicle for you. This is because there are enough seats for each one of you. 7 seater maxi cab is also more economical when used by less than 7 people as compared to a 9 seater vehicle that will have some extra seats unoccupied. 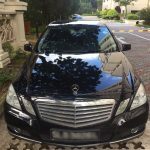 There are several companies that offer maxi cab services in Singapore. As expected, not all of them are made equal, nor do they provide the same quality of services. The best company is that which is reliable, affordable, customer-oriented, and provides a wide range of packages. Before doing maxi cab booking, ensure that the company that provides maxi cab transportation services is reliable. Check to find out whether it offers a wide range of vehicles with different passenger capacities. Is it reliable? Check it online and read reviews to know whether it is reliable. If most customers are happy with the services of the company, then you can be sure that that company is a reputable one. 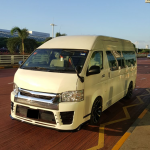 Our company is the most reputable one with maxi cab Singapore services. We are reliable and you will definitely see this for yourself by reading our customers’ reviews. 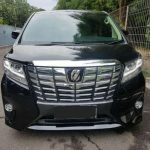 You are probably opting for maxi cab Singapore because you need a transportation service that will offer you the most convenience. First, pick the vehicle that will comfortably accommodate you and every member of your family or group. Secondly, find out whether the vehicle is available at all times, or at least at the time you expect to be in need of it. It can be very frustrating if you choose a vehicle which will not be available at the time you will need it to pick you up and drop you off at your destination. Call us via our hotline @ +65 8555 3666 for bookings or simply do it online. Booking and reservations are available 24 hours daily, Monday – Sunday including Public Holidays. There are no additional charges for booking and reservations made in advance.